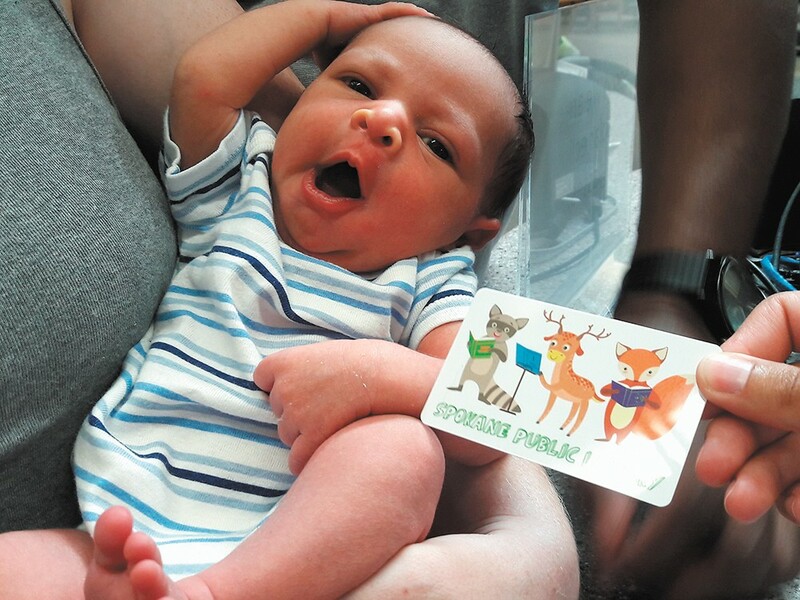 Baby Grant is one of the program's newest library card holders. In the past year, Spokane social service agencies have pushed forward with efforts to make sure that women, children and families have a better shot at being sheltered together, and being able to afford to live together in their own place. Among those accomplishments there's a new 24/7 shelter, and ground has been broken on a new permanent housing development that will support families and individuals living below the poverty line. The projects have helped dozens of families, but there's still more work to be done to address the needs that exist. In December 2016, Family Promise of Spokane opened a day shelter for homeless families called Open Doors. Located off Richard Allen Court in East Central, the shelter offers families a place to come in from the elements and spend the day with their kids while waiting for night shelters to open back up. The shelter has facilities to shower, games and activities to stay entertained, and staff members to offer case management to those who come through the doors. By February, about 30 to 40 people walked in every day, and by June, the facility expanded to offer overnight shelter to families in the neighboring Bethel AME church, says Open Doors Director Joe Ader. 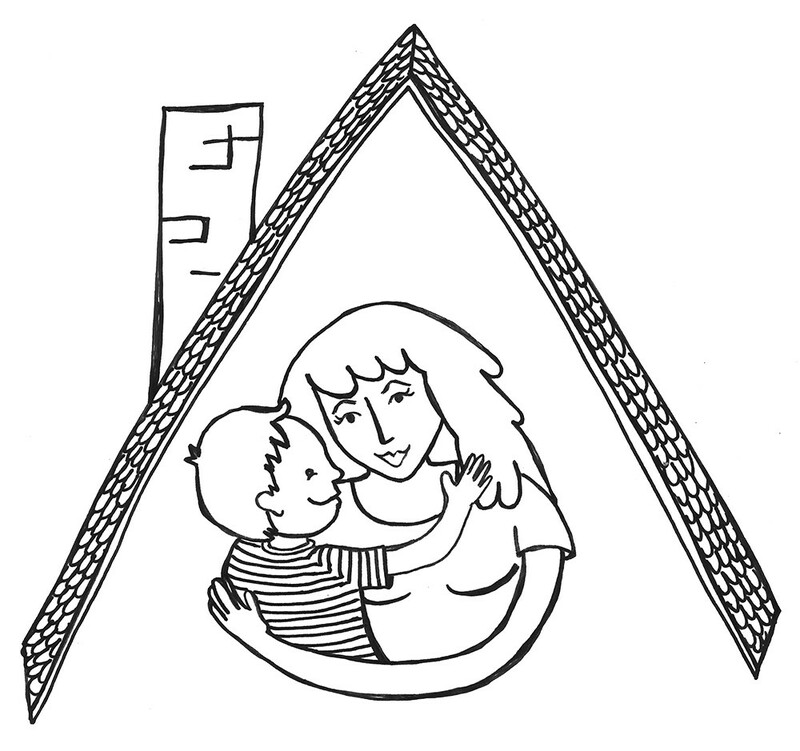 Open Doors is one of the few shelters that doesn't separate men and women, so that families can stay together. Up to the point of opening for overnight stays, the shelter had not seen more than 55 people on any given day, Ader says. But that quickly changed once people could sleep there. "We opened with 48, then went to 55, then we had 73 on the third day we were open," he says. "We overflowed into the gymnasium until we could get our arms around it a little better." At the highest point, they saw 84 people stay for one night, but due to losing the overflow capacity they possessed, the shelter is back to sleeping about 50 each night, which means that people are being turned away. "We try to divert anybody before they come here: 'Do you have family or friends you can stay with? Is there anywhere else you can go?'" Ader says. "We'll also ask families that are two-parent and have a vehicle if the husband would sleep in the vehicle, so we could get more moms and children into the night shelter. There's not a lot of options available." The biggest need now is for relationships with landlords who would be willing to work with families that may not have perfect credit or rental histories, Ader says. "We have quite a few people with money and with jobs in the shelter, because there's just such a low vacancy rate, they just can't find a place," he says. "That's really frustrating for families." Since opening, there have been three babies born to families staying at the shelter. They've made special accommodations for the new moms, including partitioning a cry room so that others staying at the shelter can get some sleep. By the end of August, the facility will have had 10 families transition to permanent housing just this month, which is a big deal, Ader says. Aside from landlord relationships, the shelter is also in need of more volunteers, especially people who can drive guests to programs, doctor's appointments and other places they need to get to, Ader says. People with a clean driving history and an interest in helping can find more information at familypromiseofspokane.org/volunteer. The shelter can also always use donations of cleaning supplies, paper towels, toilet paper, trash bags, food handlers' gloves, baby wipes and diapers — especially in sizes 5 and 6, which are harder to come by, Ader says. Meanwhile, north of the river in Spokane's Emerson-Garfield neighborhood, local nonprofit Transitions (help4women.org) has broken ground for its Home Yard Cottages, which will house women and children in permanent, supported housing at the corner of West Fairview Avenue and North Hemlock Street. Just down the hill from the Transitions office, the 24 new, small-footprint houses will be home to people living below the poverty line. Most of the units are reserved for people who make 30 percent of the median area income or less; a few are for those making 50 percent or less. The project took advantage of the city's cottage ordinance, which allows for more buildings per lot, with a limit of a 1,000-square-foot floor area. Those rules allow for parking to be placed to one side of the development without a full-blown road going to each house. "The idea is to have more permanent housing that allowed a denser population all going through similar situations, so they're able to come together as a community," says project manager Ryan Bollinger of Heylman Martin Architects. Part of the project was paid for with state grant money for net-zero construction, which produces as much energy as it uses, Bollinger says. Fifteen of the units will receive power from solar panels and have high-efficiency heating and cooling systems. It'll take a little more than a year to build the homes, Bollinger says, with construction slated to start next month. As part of a new pilot project, Spokane Public Library is making sure all new Spokane babies born at Holy Family, Deaconess and Sacred Heart hospitals and the Spokane Midwives birth center will go home with a book and a library card starting this month. As of last week, the library has distributed 1,000 Books for Babies gift bags to the hospitals and birth center. The bags were paid for by the Friends of Spokane Public Library. The library cards give parents digital access to the library's online branch, and when they enter a library location, they can activate full access on the card. "It's just a great way to introduce new parents to the library system if they haven't been a customer before," says Rae-Lynn Barden, administrative services coordinator for the library. The kits are designed to teach parents about the importance of reading to their kids from the very first day, which helps them learn language skills early, Barden says. It's also a way for the libraries to let new parents know they have books and other resources for their new child, including storytimes, which are offered at all library locations. The program was based on other efforts around the nation. "We want library lovers in every household, and what better way to reach those citizens than on the day they are born," library Executive Director Andrew Chanse says in an announcement about the kits. The library's goal is to get a library card into every Spokane household. A year ago, Doug Kelley, regional account executive for Avista, and Manny Hochheimer of Numerica Credit Union launched the Good Guys movement with YWCA Spokane, intended to raise awareness about the impact that domestic violence has in the area. "This is not a women's issue, but a community issue, something that we must all work together to bring an end to," Kelley says in an announcement calling on men to join them again this year at the YWCA's 35th annual Women of Achievement awards luncheon, the largest annual fundraiser for the nonprofit organization. After the Good Guys recruited 100 men last year to fill tables at the awards ceremony, which honors women working to better Spokane, they were awarded the YWCA's 2017 Shining Star Award, and they hope to get at least as many men to attend again this year. "All proceeds raised directly benefit the YWCA's services for domestic violence victims and their children, including emergency shelter, counseling, legal services, job readiness, child care, and pre-k programs for low income children," YWCA Spokane CEO Regina Malveaux says in an announcement about the event. This year's event takes place Thursday, Sept. 28, from 11:30 am to 1:30 pm at the Davenport Grand. Good Guys tickets can be purchased online at ywcaspokane.org/how-to-help/good-guys. "This is a community epidemic; 1 in 3 women and 1 in 7 men in Spokane will be impacted by domestic violence," Kelley says in the announcement. "We can no longer be silent about this prevalent issue."